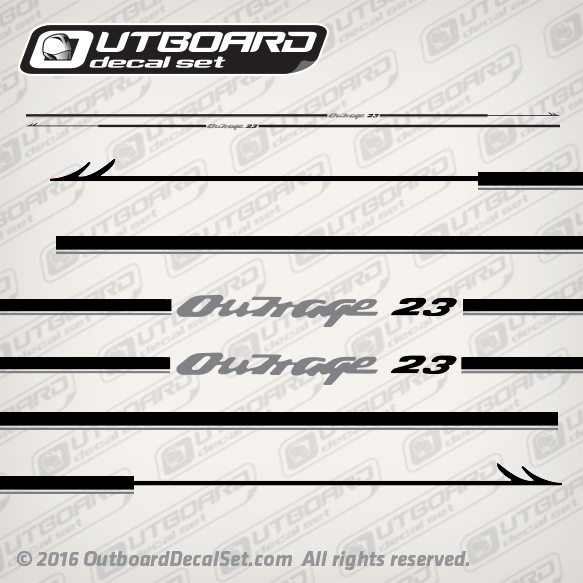 Outrage 23 Harpoon Stripes in Black-Silver as seen on 1997-1999 Boston Whaler Boats. Decals are cut on colored vinyl. Overall size 14.6' feet (176 inches) long aprox. overall size is 14.6' feet (176 inches) long aprox.